To be known by a stage name. NOTE: If you are getting married or divorced, you have at least one thing in your favor: name changes can be an automatic part of the process. In general, the court proceedings for an adult are relatively simple. So long as the requirements are satisfied, the judge will grant the name change. You should tell the judge the reason for wanting to change your name, as some reasons may be more important than others and will require special attention. `For a minor’s name change there are a couple extra points to keep in mind: The reason for the change should be significant, such as adoption or bringing a stepchild into a family. One parent or guardian will submit the petition with a reason for the change and the other parent or guardian will have to give his/her consent. (So long as both parents are on the birth certificate and still alive, both parents must consent to the name change of the minor.) Both parents/guardians will be notified of the petition, which means an objecting parent has time to come forward with an objection. If there is controversy over whether the child’s name should be changed, a hearing in front of a judge is more likely. Ultimately, the judge will decide what is in the best interest of the child. 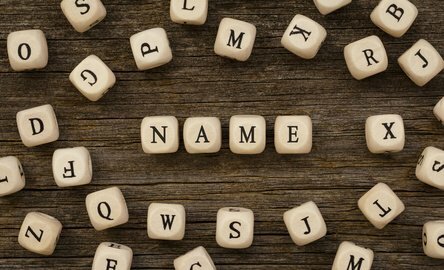 Remember that changing a name is not the same as a legal adoption or the removal of parental responsibilities. If your child lives with your ex-wife and changes his or her last name to that of his stepfather’s, your responsibilities and obligations as a biological parent have not changed.